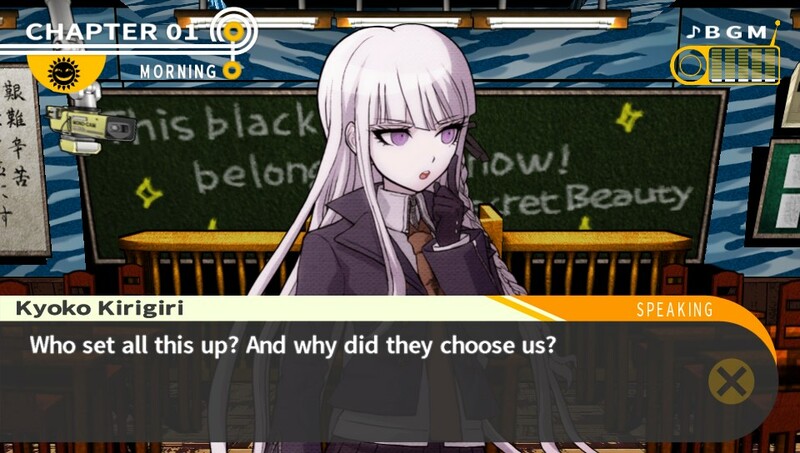 How does one begin to describe a game like Danganronpa: Trigger Happy Havoc to the uninitiated? Calling it an adventure game might serve, along the lines of the now-popular Walking Dead from Telltale Games, but that doesn’t really explain exactly what happens in Spike Chunsoft‘s latest. You’re not trying to survive by a series of quicktime events, and therein lies the key difference. This is a mystery game—part visual novel, part Phoenix Wright courtroom drama—and even attempting to explain the gameplay would spoil a large part of the experience. Suffice to say, the game follows Makoto Naegi, by all accounts a completely ordinary high school student (save for his uncannily good luck), as he enters the prestigious private academy Hope’s Peak. From there, you meet an eccentric and diverse cast of characters, who, more than anything else, make the game worth experiencing. There simply aren’t enough words that can describe all the positive aspects regarding character design and interpersonal interaction contained within. Character development is heavily leaned on as a story mechanic, and for good reason—each of your fellow students are fun to interact with, vital to the plot, and laden with secrets. Some of the plot twists you’ll see coming, as with any title, but you’ll only end up blindsided by another while you’re distracted by what turns out to be some innocuous detail. Figuring out exactly what’s going on in Hope’s Peak is entertaining and never dull, though it does require a bit of analysis every now and again. A myriad of different gameplay elements come together as you progress and the story kicks into high gear, and they all work in tandem to increase the drama and mystery versus detracting from your experience. The Vita controls are largely serviceable, save for a handful of instances in a shooting mini-game where there may be some finger-tracking issues. There’s nothing remotely game breaking, however, and doesn’t hinder progress for more than a few minutes. 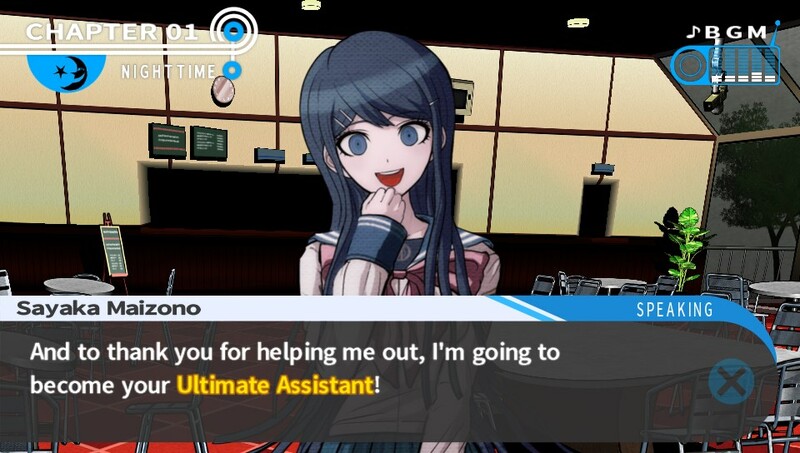 Many people first experienced Danganronpa with the unofficial PC port and fan translation of the original, Japan-only PSP release, which was decent, but the translation left much to be desired and glazed over many important colloquialisms. Thankfully, with the excellent localization team at NIS America, those issues are absolutely eliminated. The dialogue is translated wonderfully, with all the humor, quirk, and drama intact. It’s not often a game can make you laugh audibly, but there are several instances in Trigger Happy Havoc that may elicit some good belly laughs. This is a story that is full of highs and lows, with characters you’ll remember for a good long while. Bittersweet, funny, dark, and often tragic, if you own a Vita, you owe it to yourself to experience this game. Best of all? Danganronpa 2: Goodbye Despair is already confirmed for a Western release later this year. Why settle for only one great Danganronpa title in 2014 when you can have two? Danganronpa: Trigger Happy Havoc is was developed and published by Spike Chunsoft and published by NIS America in Europe and North America. This title is currently available exclusively for the PlayStation Vita for $39.99. A download code for this title was provided by the publisher to Save/Continue for review purposes.